Discussion in 'Project Logs' started by Smffy, Oct 8, 2018. Had 17 I think, currently reduced to 2 with the stripped down rig and air cooled GPUs. 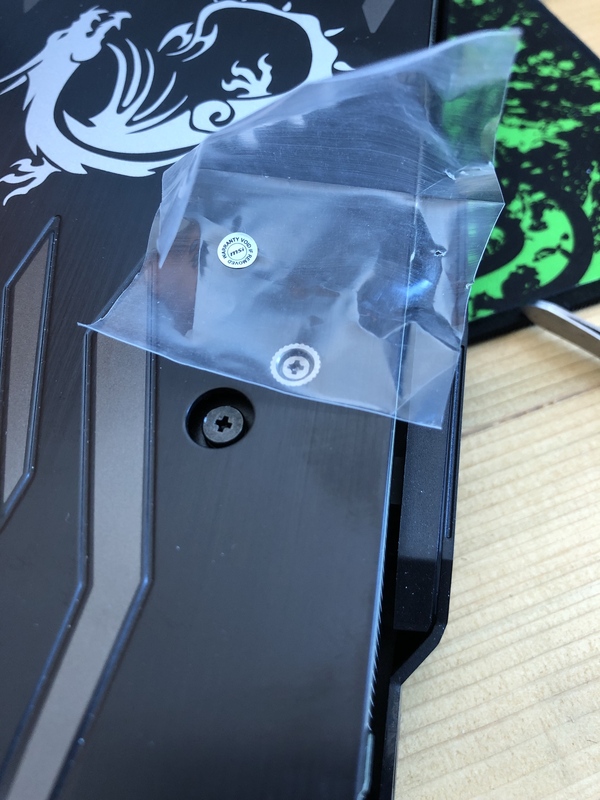 Do you know what thread the screws are? Just for the case they are a little long but can always get the saw out. Will be grabbing some 140mm for the rear exhausts because why not if they fit. I don't sorry mate, any time screws are too long I just do the same and hack the ends off! No worries, only 8 to do so will get the saw out! Note the extra SSD also, they went down to £48 elsewhere so I snapped up another to fill out the panel which was a pretty good deal! SHINY SHINY SHINY!. 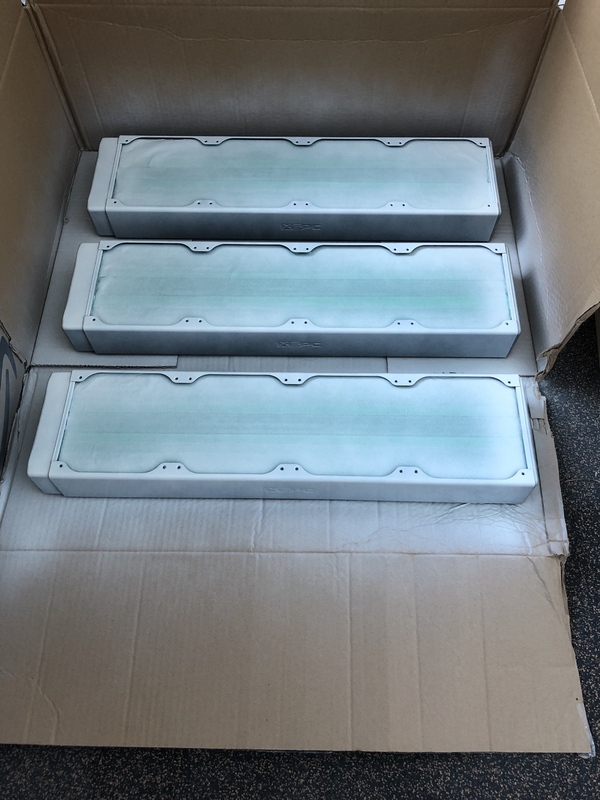 They look great, one area of concern is the LED cable which you can route through under the block - I'm guessing its fine as temps will not get anywhere near high enough to melt the silicon on the wires? Ha, yeah I'm thinking more along the lines of putting together a frosted frame around them all for the front facing. 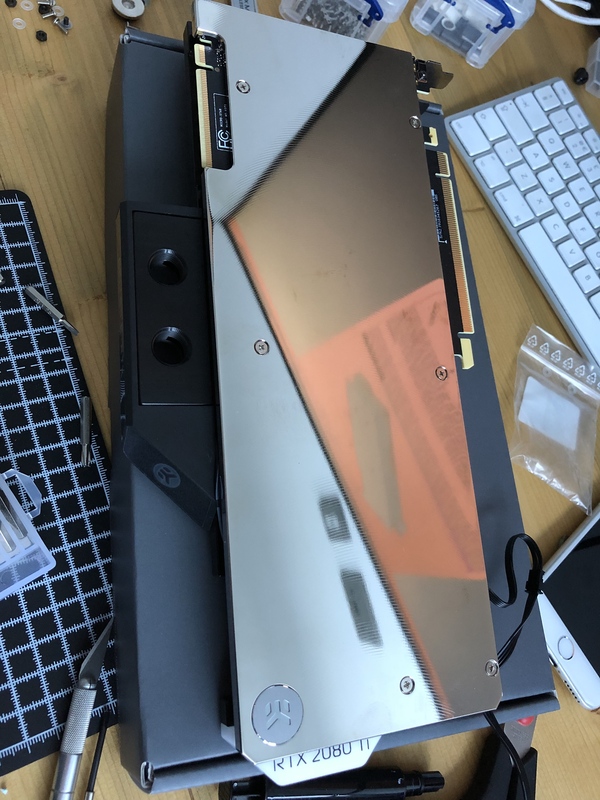 But I confess I am literally clueless about RGB so will have to learn that craft, i'm assuming I could get one of the long reels of it and go from there but will see... 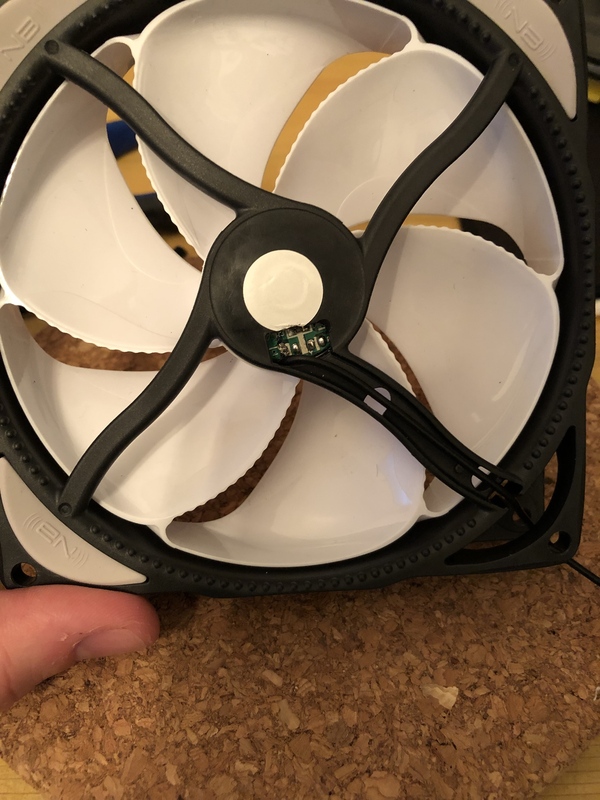 I would agree on the fans, really impressive, my concern with the halo's would be it spoils all the small textured parts which are clearly designed for the noise reduction etc - great fans though, will be replacing stickers with brushed alu and sorting wiring out soon. 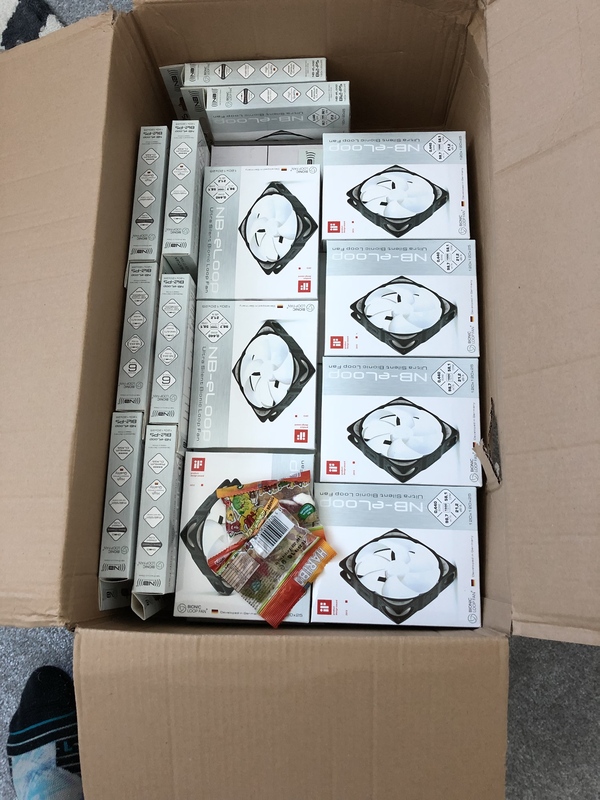 I just managed to get a deal from someone selling theirs - I can confirm that the box is absolutely massive! 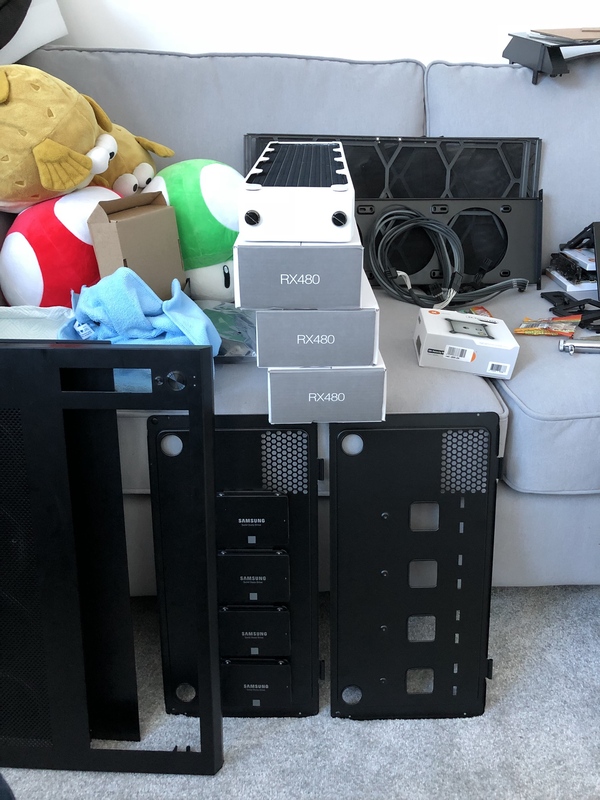 Welcome to excessive case life - planning any mods? Amazing so far smffy! I have the exact same block and bp (nickel) on mine and they do look amazing in the flesh. EK really did a great job designing these. 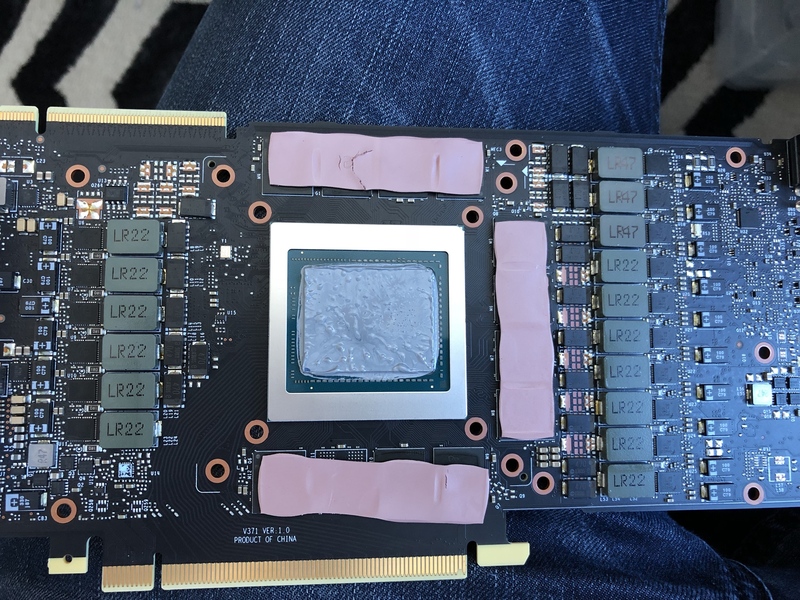 As with your RTX mine had really poor memory pad placement on my FE (with one chip about 50% covered) so glad i fitted the block. Looking forward to seeing some parts go in and those custom blocks, very nice job on those btw. Loving this. 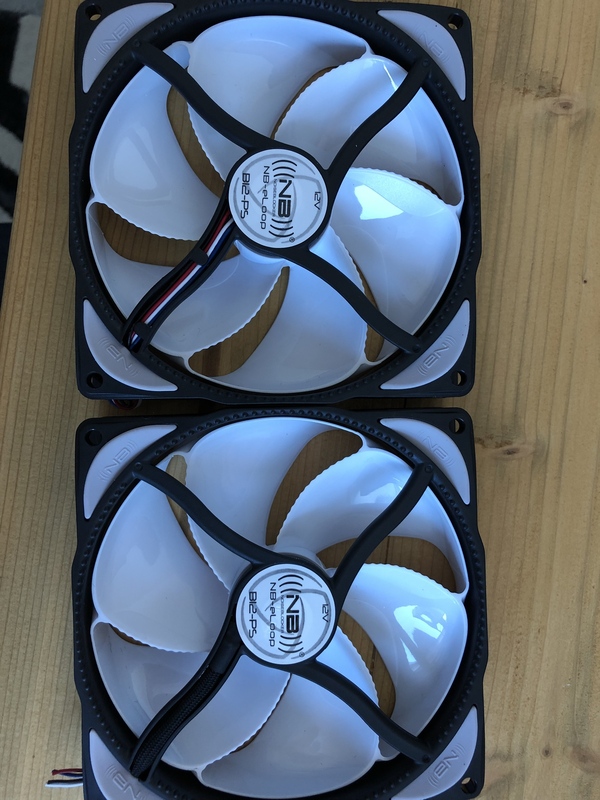 Those fans look great! I've not seen them before. Thanks, as you can see they are highly recommended especially for those not that bothered about RGB! I’m sort of leaning towards the first, thoughts? Also included a shot of the fans on the temp rig, super quiet! Either way looks like a boring days work making up those cables and keeping track of all of them - breaking out the coloured leccy tapes me thinks! Rear of the fans will be covered by a brushed alu disc (cut to size 27.5mm), under the silver sticker is actually a magnet I believe! I use Corsair ML120 and 140s, and there’s a thick layer of conformal coating over the solder joints. Otherwise I would solder direct at the hub. What I do is cut the wires and solder them in banks, then run a single sleeved cable for each bank to my controller / Mobo. That way there’s much less wiring and faff. Each fan is wired in parallel, with the 12v, ground and PWM running to all three, and the tach from just one. 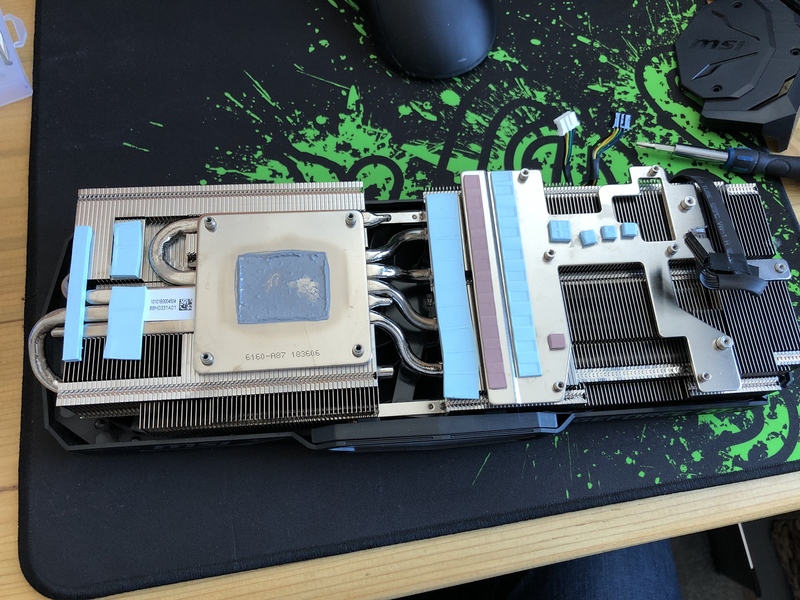 Just remember to only connect one tach reading from each bank (I usually use whichever fan is where the cables all come together) and make sure that the header you’re connecting to can handle the current that the fans pull, with a little headroom for inrush etc. 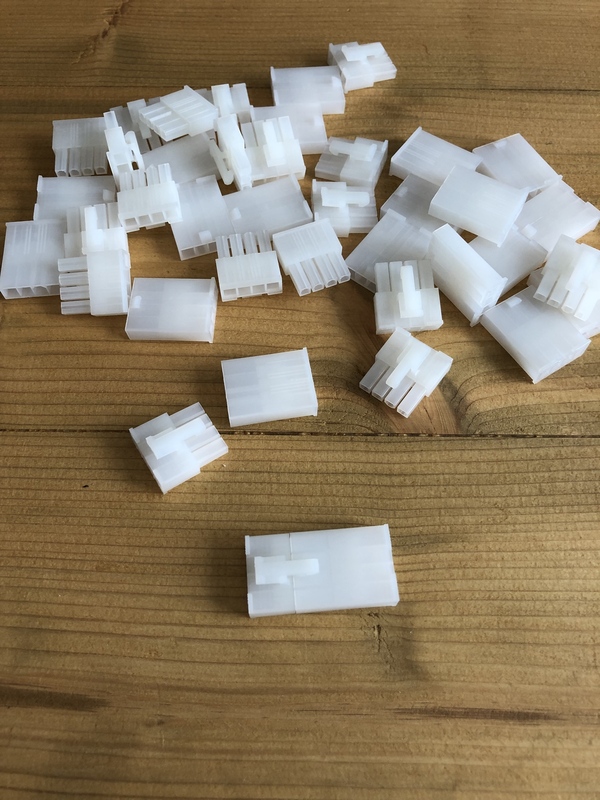 I'm going for long runs to back and fit two to one connector for the hubs, I have order more cable as this stuff is uneccessarily thick to be honest! Got some good 22AWG lower strand like the wires that were on the fans originally coming monday so will get soldering next week! But i'll most likely get an ITX system in first and try and pick up another commander pro. I need to do some research on what Radiators I want. 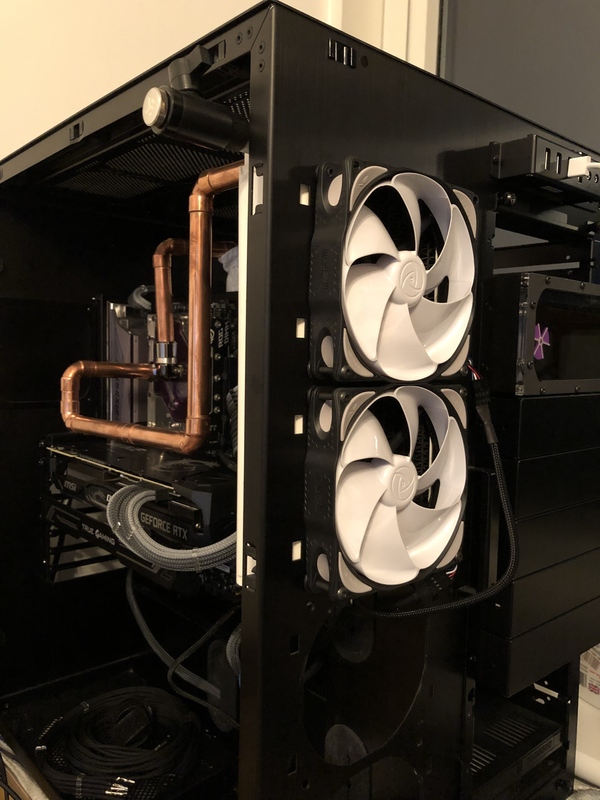 I think if I had to mod something, i'd be tempted to see about a side radiator similar to the Lian-Li Dynamic - but that would be something way further down the line. Its a shame that you can't fit a full ATX PSU in the ITX PSU slot though! I'm really looking forward to it, although the idea of a first water loop makes me nervous! I'm not massively fussed about if its Chrome or Black - given the glass on the 1000D i'm not sure if you could see the difference. Is it the same model that is compatible with the Gigabyte Gaming OC 1080ti?